Lots of things come to mind when thinking of Manhattan: Central Park, 30 Rock, Frank Sinatra, you get it. Another thing we think about is affordability — or rather the lack of it. With the median asking rent of Manhattan at a steep $3,400, it’s hard to imagine affording it. But, we found several budget-friendly neighborhoods starting at $1,850 per month. Check out our picks for the best, affordable neighborhoods Manhattan. You’ll be surprised. Located at the northernmost tip of Manhattan is Inwood. This nabe is served by the A express train in case you get cold feet and need to make a bee line back downtown. However, longtime Inwood residents cite its remote location as a positive. 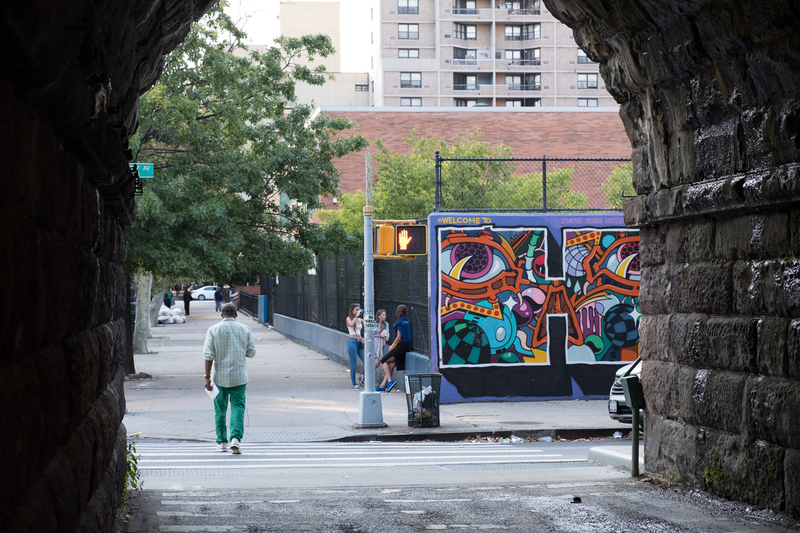 If a slower pace of life and ample park space is what you’re looking for, the village vibe of Inwood may be a perfect fit. Most of the housing stock consists of prewar apartment buildings and detached homes. 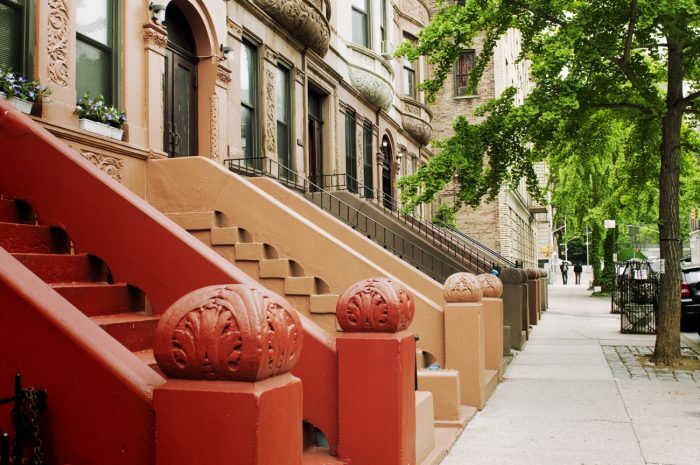 The water front views and hilly, tree-lined streets weaving their way through the neighborhood is what really sets Washington Heights apart. 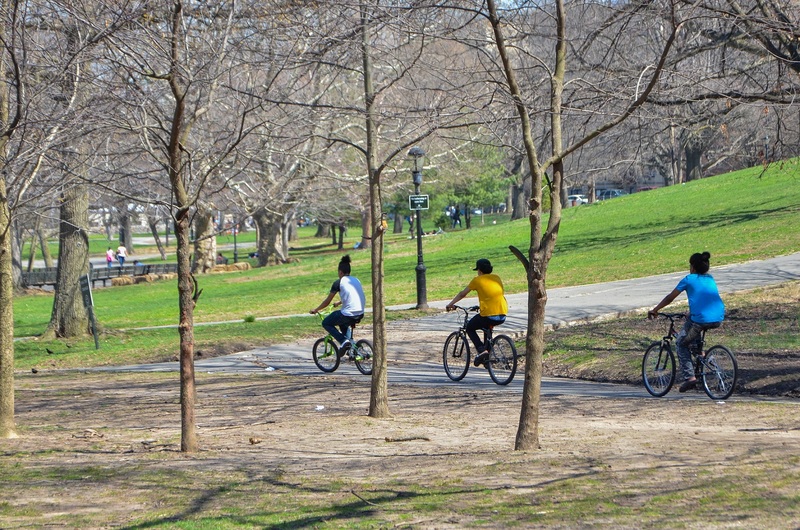 For outdoor enthusiasts, Isham Park and Inwood Hill Park offer plenty of green space as well as trails for a brisk walk or bike ride. You’ll want to invest in some comfy shoes to explore this hood though, as it’s got some steep hills. Yes, the Upper East Side is synonymous with affluence, so it may come as a bit of a shock that it is also one of the more affordable Manhattan nabes. 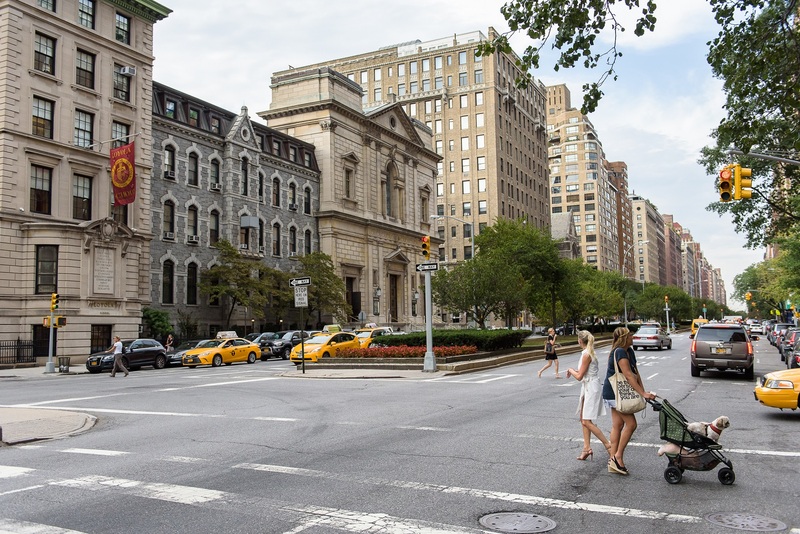 While certainly not cheap, the Upper East Side offers great value for those looking to live somewhere with cachet, or just wanting to live out their “Breakfast at Tiffany’s” fantasy. There’s endless high-end shopping options as well as trendy restaurants. The proximity to Central Park and Museum Mile can’t be beat, either. And now with the 2nd Avenue subway providing the area with more transportion, there’s even more reasons to love the Upper East Side. The golden era of Harlem’s renaissance may come to mind first, but the neighborhood is still on the cutting edge of NYC’s art, entertainment, and food scenes. Home to countless jazz greats, writers, and Houdini to boot, Harlem has become more expensive in recent years, but still affordable by Manhattan standards. The neighborhood’s legendary townhomes on Strivers’ Row are the stuff dreams are made of, plus there are new developments cropping up for those that prefer modern construction. Residents have access to the northern end of Central Park in addition to several attractions like the legendary Apollo Theater, Studio Museum and the National Jazz Museum in Harlem. Stretching along 5th Avenue at the top of Manhattan’s Museum Mile to roughly East 130th Street and FDR Drive lies East Harlem. Some call it Spanish Harlem or El Barrio, but please refrain from using the dreaded “SpaHa” moniker when referring to this nabe. While East Harlem is known for its large Puerto Rican community, the neighborhood has always had a thriving and diverse immigrant community. It was also Manhattan’s first Little Italy, during the 1800s. This celebrated diversity has given rise to a mouth-watering selection of cuisines from belt-busting fried fare at Cuchifritos to the old school Italian offerings at Rao’s. Never mind the calories though. You can easily walk them off exploring the many murals in the area or take in the exhibits at Museo del Barrio. Further Uptown is Hamilton Heights. 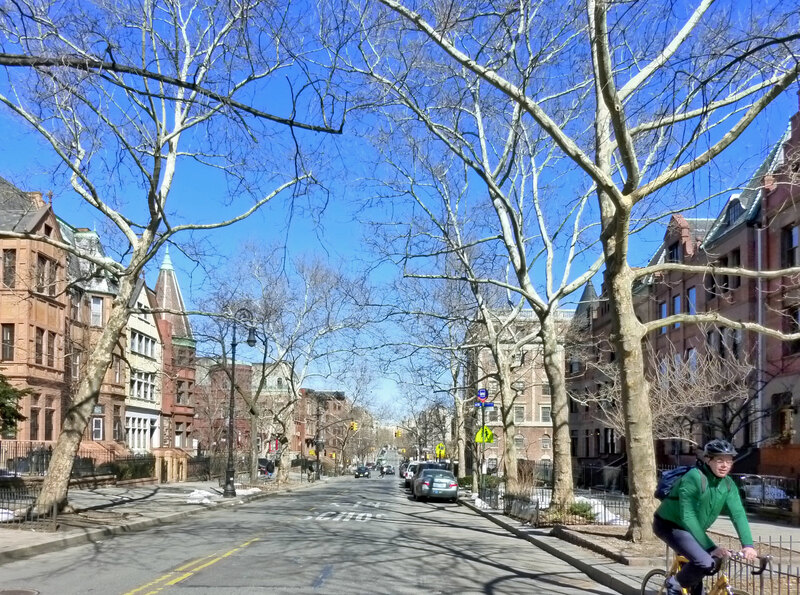 Located above Manhattanville from about West 135th to West 155th street, Hamilton Heights is bordered roughly by Henry Hudson Parkway to the west and St. Nicholas Avenue to the east. The neighborhood is named after Alexander Hamilton, whose home dubbed “the Grange” sits in St. Nicholas Park. It’s now open to the public as the Hamilton Grange National Memorial. The picturesque Gothic architecture and well-kept townhouses that make up the neighborhood’s housing stock will hook you, especially the area around the Sugar Hill enclave. There’s also an abundance of green space with the expansive Riverbank State and St. Nicholas Parks. It’s an excellent choice for those attracted to beauty and brains as the City College of New York (CUNY) and Columbia University are easily accessible from this part of town. Subway access is easy and plentiful with the 1, A, B, C and D trains. 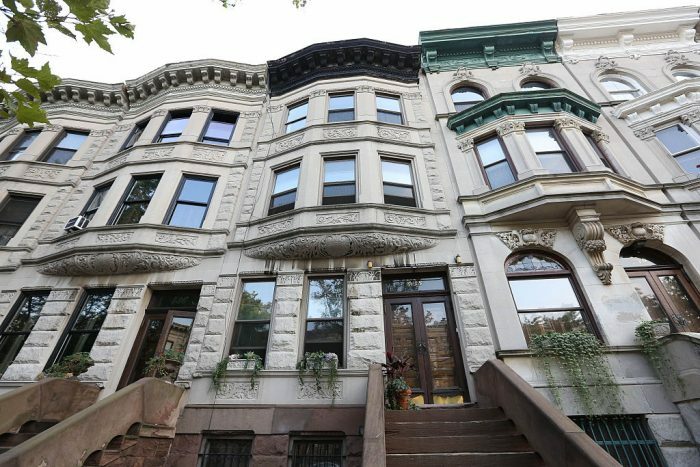 Washington Heights may be getting more shine thanks to the popular play “In the Heights,” but this neighborhood has long been a top pick for those looking to skirt sky-high Manhattan rents. 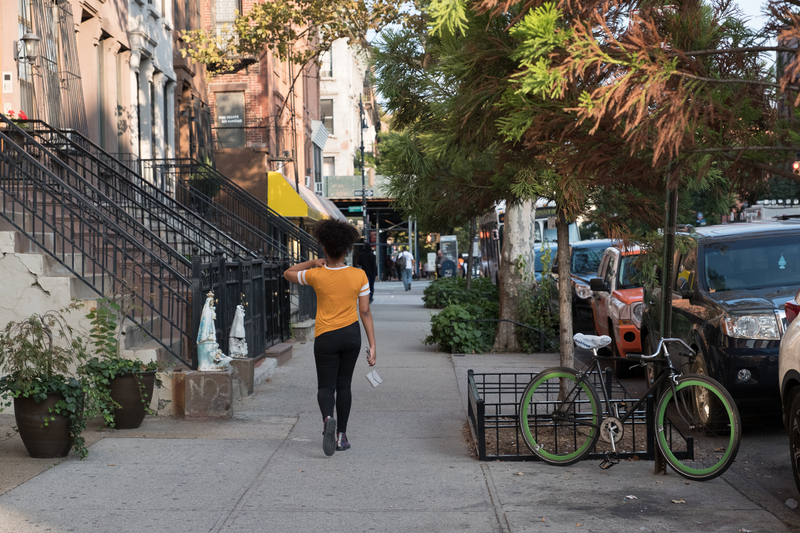 The vibe is similar to Bed-Stuy in that the community is tight-knit and it’s not uncommon to socialize with neighbors and local business owners. Sidewalk barbecue? Yes, please. While the housing stock in the neighborhood is primarily prewar apartment buildings, there have been efforts to build new developments. Washington Heights is also a great option for people working at Columbia Medical Center as that would nix a subway commute. It’s not known as a nightlife hub, but locals frequent Coogan’s– a beloved pub that was saved from its doors shuttering by … drum roll please … Lin Manuel Miranda.